The rules and policies have been established in order to insure the owner of a UKC registered dog that each UKC licensed event will be conducted on a fair and equal basis. One of the first things your club should do is contact your state corporation office, where you may obtain the forms to be filled out and filed to make your club a non-profit corporation. The fee for non-profit status is usually minimal. By doing this, it will remove any potential personal obligations by the officers and may remove the possibilities of the officers being sued on an individual basis. After the club is incorporated, you should take out a liability insurance policy in the club’s name to cover any potential problems that may arise. 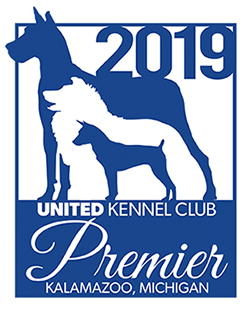 The United Kennel Club offers licenses to approved clubs for a variety of events. Clubs may hold no more than seven events per year. New clubs may only hold three in the first year. We also endeavor to keep at least 100 miles distance between clubs asking for dates on the same weekend. The mileage limitation was established to allow each club to have a successful turnout at each of its events. The club location for having events should remain the same. If for some reason you must change the location of your event, you must first have the change approved by the Hunting Programs Department. To get started, fill out the necessary forms for New Clubs.